The cloud cake is the next ruffle cake!!! And why not?! It is a super cute and super easy way to frost a cake! 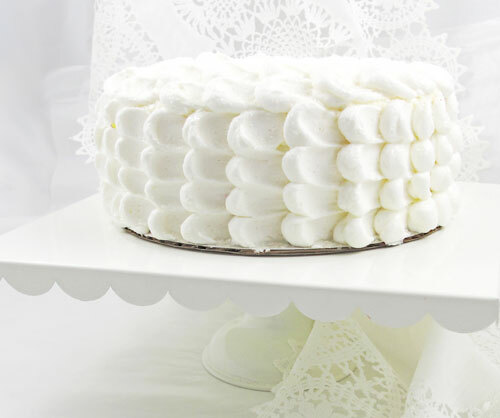 We found this great step-by-step Cloud Cake Frosting tutorial from Annies Eats. Follow the link if you would like to see images of the entire process.